Yuzen is a technique to dye cloth with patterns on it. Yuzen was started at Chion-in temple in Kyoto by Yuzensai Miyazaki, a painter of folding fans, at Edo period. Yuzensai was so popular as he drew the fashionable picture with the witty sense. The pattern was called the Yuzensai pattern. 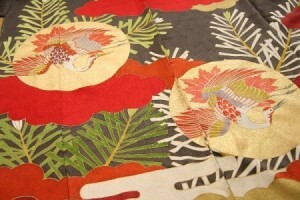 He made deal with not only the folding fans, but also started to make the patterns of short sleeve garments. 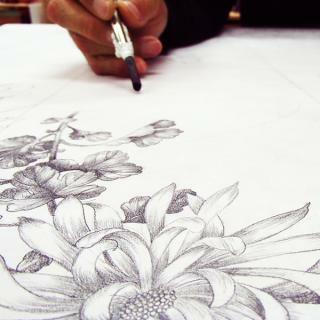 He innovated new style , which focus on familiar motif, flower or plants. 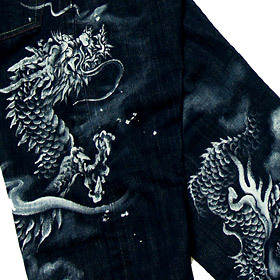 Dyed goods of this Yuzensai pattern came to be called a Yuzen(dyeing technique) before long. 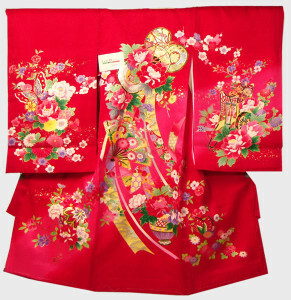 The characteristic of the Yuzen (dyeing technique) is founded by Yuzensai is that by mixing paste with dye, preventing it from a color blurring and mixing on cloth. drawing, Yuzen”. This is called a current “Kata Yuzen, shaped Yuzen”. Much numerical production was enabled and in this way, spread to many people. Today, young people start innovating a new style of Yuzen.